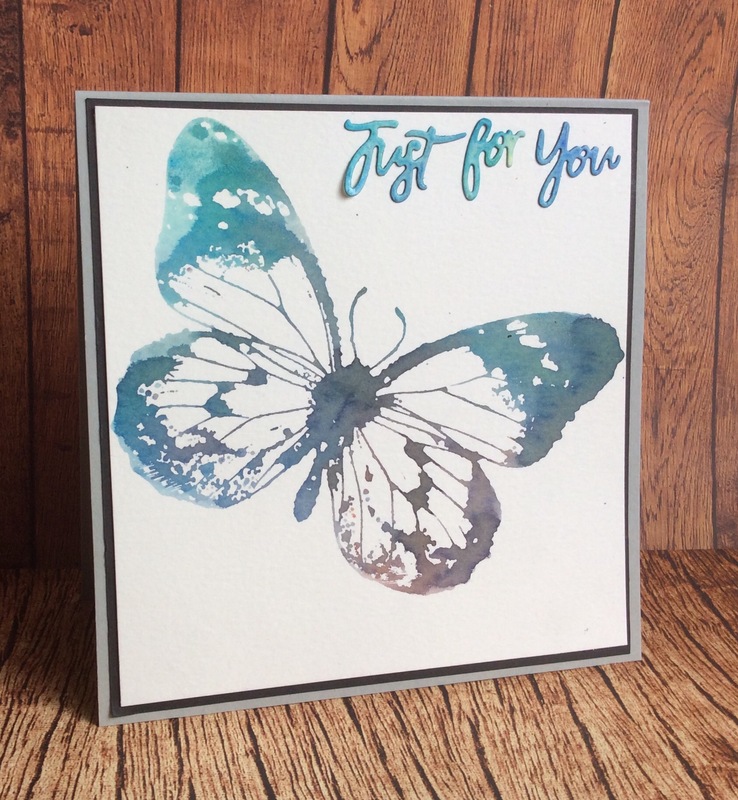 The first card has an embossed background called Dot Matrix, with a butterfly inked with Brusho Inks which I pressed my stamp into it. It came up beautifully! Made the word die cuts with the same ink colours. 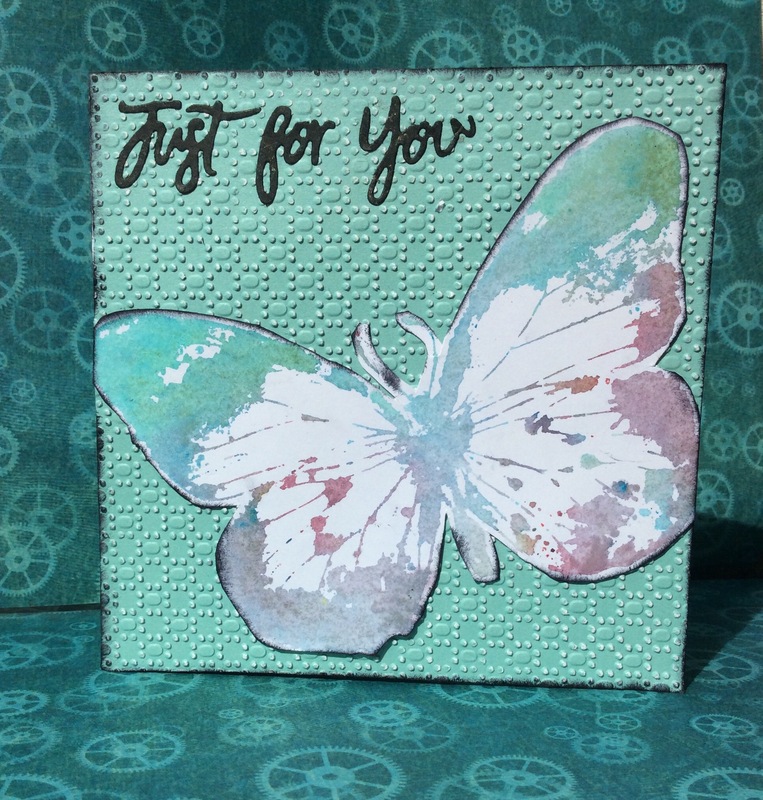 Then I made the second card the same way, then layered it, and Im quite pleased with the result.